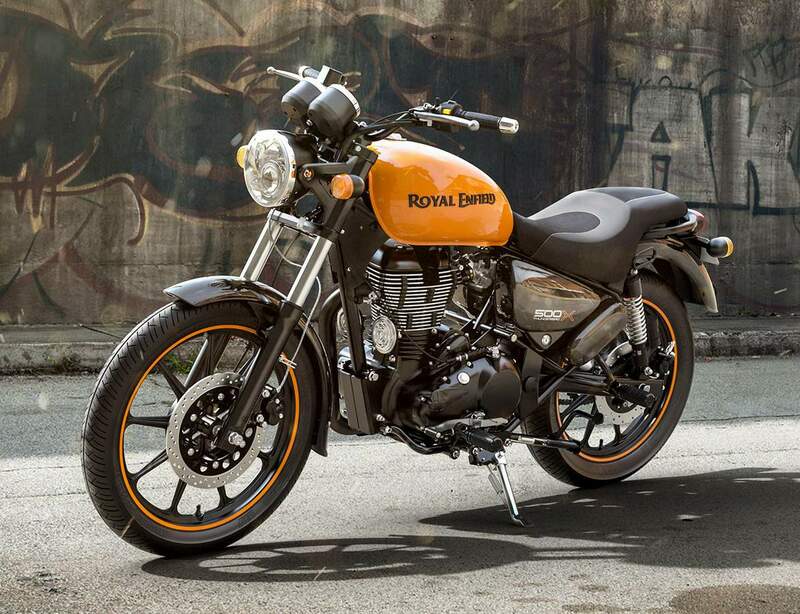 Royal Enfield has launched a new version of Thunderbird, a model that has been in existence since the year 2000. The updated Thunderbird 350X and Thunderbird 500X won't necessarily change the way the bike rides in comparison to the previous generation as this new version is more like a cosmetic update. The standard version comes with toned down colours like black, stone, marine, lightning. The newer version is targeted towards young urban riders. The inclusion of quirks like alloys and day time running lights also give the bike a more modern stance in comparison to the standard version. The new colour scheme of the Thunderbird is Getaway Orange and Drifter Blue for the 500X, and Roving Red and Whimsical White for the 350X. The new Thunderbird motorcycles follow a blacked-out theme which is complemented by bright-coloured fuel tanks. 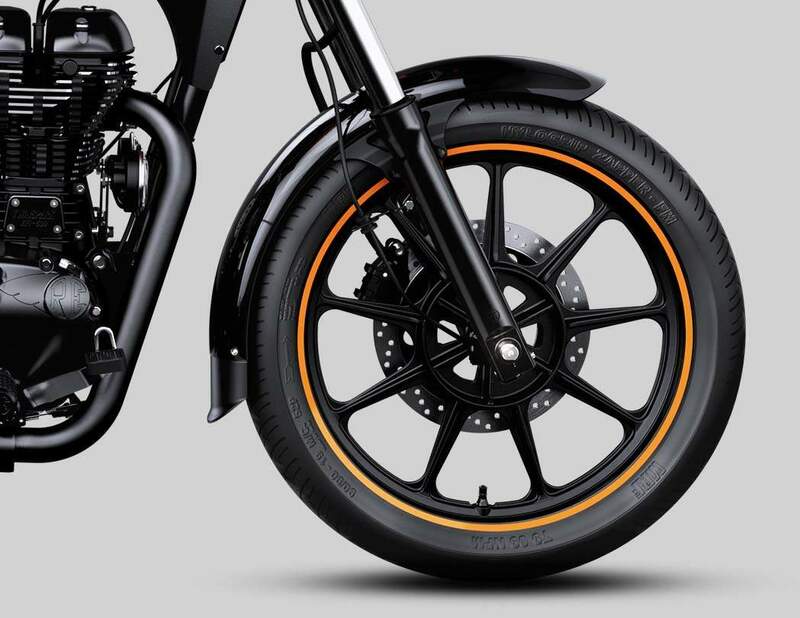 The Thunderbird X comes with alloy wheels and tubeless tyres, a first for Royal Enfield, along with new seats coupled with the new grab-rail and shortened rear mudguard. The blacked-out theme is carried over to components like the exhausts, front forks, side covers, headlamp cover, indicators and grab-rail. In high contrast, the vibrant colours of the tank are coordinated with other elements on the motorcycle, such as the stitching on the seat and rim-tapes on the wheels. 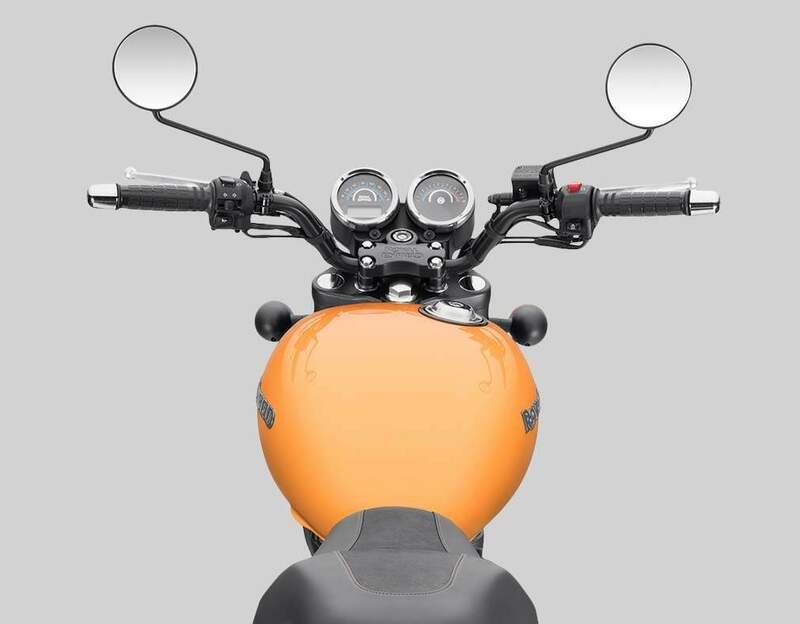 There’s also the inclusion of a new flat handlebar giving the motorcycle an aggressive, and leant-in riding attitude. The company is also offering disc brakes at both front and rear but has given ABS a miss. 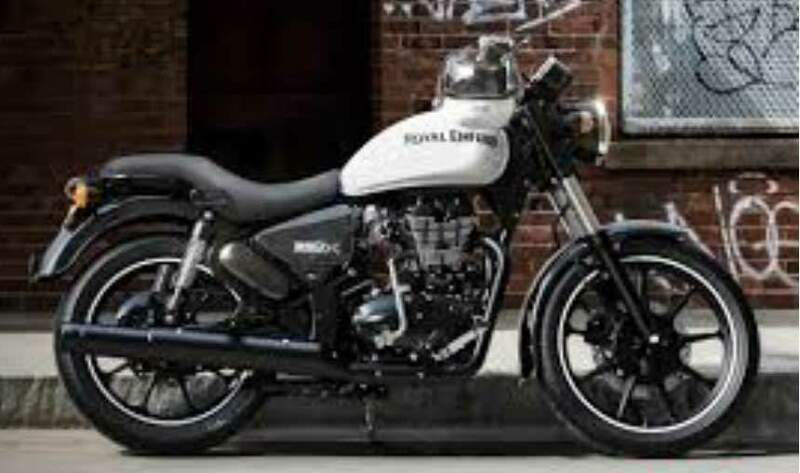 The Thunderbird X will be powered by Royal Enfield’s Unit Construction Engine. The Thunderbird 500X is powered by a single cylinder, air cooled, 499cc engine fed by an electronic fuel injection system which produces maximum power of 27.2 bhp @ 5250 rpm and generates 41.3 Nm torque @ 4000 rpm. 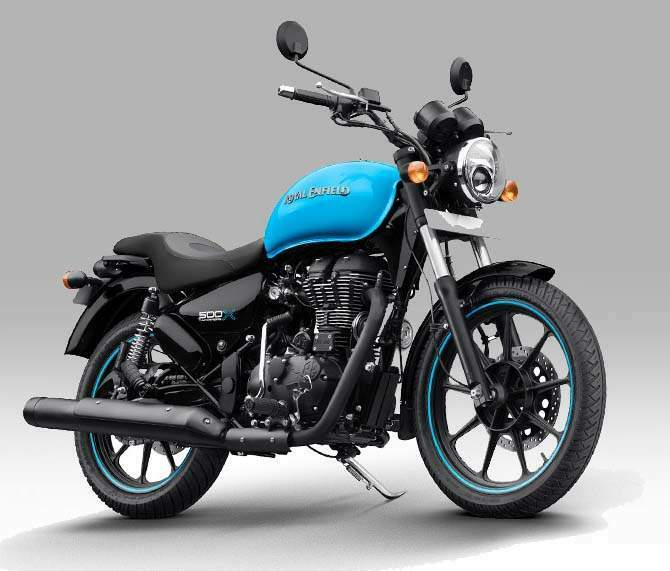 Thunderbird 350X, on the other hand, comes with a single cylinder, air cooled, twin-spark, 346cc engine which produces a maximum power of 19.8 bhp @ 5250 rpm and generates a maximum Torque of 28 Nm @ 4000 rpm. Introducing the Thunderbird X, Rudratej (Rudy) Singh, President, Royal Enfield, said, “The Thunderbird X is a custom inspired Royal Enfield that takes inspiration from our Thunderbird community. Our riders have been customizing Royal Enfield motorcycles and the Thunderbird for decades. We took that inspiration and have created an evocative, engaging, yet fun to ride factory-built custom-look motorcycle that will offer great scope for further customization and will appeal to new-age urban explorers. The two interpretations of Thunderbird and Thunderbird X will continue to strengthen our city and highway cruising proposition, and of nudging the youth to express themselves.